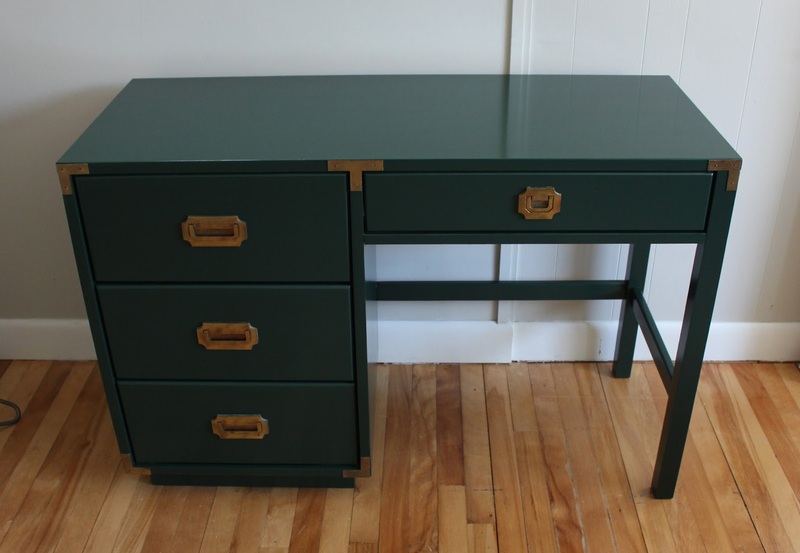 This vintage, campaign-style desk looks quite dapper in this rich shade of green. Phil and I love the depth of this color, and we love the way it compliments the beautiful brass hardware. Campaign style furniture stems from 19th century British military campaign trunks, which were specifically designed to break down into sections, making them easier for soldiers to carry. The brass corners protected the trunks from dings. Now, they're simply decorative. The desk measures: 44"W x 18"D x 29"H.